Performers include: Mark Duplass, Melanie Lynskey, Steve Zissis, and Amanda Peet. This single-camera comedy revolves around four middle-aged people in Los Angeles who are reconciling their dreams with their current personal and professional lives. A husband with two kids living in Los Angeles, Brett Pierson (Mark Duplass) has hit a speed bump — both personally and professionally. His marriage to Michelle has lost its sexual spark; he’s unappreciated in his job as a sound designer; and he’s so run down that a family day at the beach represents a distinct kind of psychological torture. A stay-at-home mom with two children, Michelle (Melanie Lynskey) constantly feels exhausted and unfulfilled. Realizing her marriage to Brett is in turbulent waters, she’s glad to have her sister Tina Morris (Amanda Peet) around as a sounding board — even if it means that Tina moves in with Michelle and Brett. Tina is a free spirit who’s grappling with being single and getting older. She relocates from Houston in hopes of finding love in her life and success in her bouncy house business. Brett’s best friend is Alex Pappas (Steve Zissis), an overweight, out-of-work actor who’s debating if he still has a shot at being successful. He’s ready to give up on Los Angeles life but agrees to stay put at the urging of Brett. After being evicted from his apartment, Alex finds himself on Brett’s couch and, thus, de facto roommates with Tina in the living room. Each adult fights to sustain his or her own passion without skirting responsibility. As the two couples find themselves living under one roof, the series explores the significance behind every day moments. Michelle is inspired by the kids as the foursome makes a last-ditch effort to save her charter school plans. First aired: April 10, 2016. What do you think? Do you like the Togetherness TV show? Do you think it should have been cancelled or renewed for a third season? I loved this show. Loved it! I’m so disappointed it was cancelled. It was a show about people who were very interesting, I don’t see how it can be viewed as a series about E.R., Glandale or any other city. I loved this show. I respect your opinion but you had a choice not to watch it, there are so many other good shows and for all tastes to choose from. Sorry you focused on something you didn’t enjoy and did not look for one to your taste. I just watched both seasons in one day and I am thoroughly saddened after hearing that the show has not been renewed for a 3rd season. There were genuine connections between the actors in this show. HBO has already decided the fate of this show which they must have known before the end of the series as there was a resolution to all situations of the show’s plot. For that I am grateful but still sad that Togetherness has ended. It should definitely be renewed. Very good series. Great characters, story li, directing everything about it is great. Better than vinyl or girls. Togetherness should be renewed for sure. Supurb, natural acting, great writing with a deft hand. It’s a pleasant, tender yet funny exploraion of everyday life. Those executive are nuts for cancelling this show. 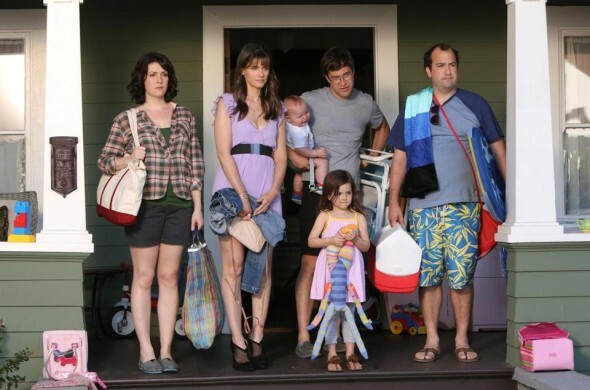 Well, I am late to being a regular viewer of Togetherness but I have thoroughly enjoyed these last few months. Isn’t always the case when you find a show that has real substance, i.e. no fake laugh tracks, corporate steps in and cancels the show. Too bad another bites the dust there was a real connection from character and the viewer. Love love loved the show! Realistic and just fulfilling and satisfying every Sunday night. Extremely disappointed…. Boo to Those who made this decision!